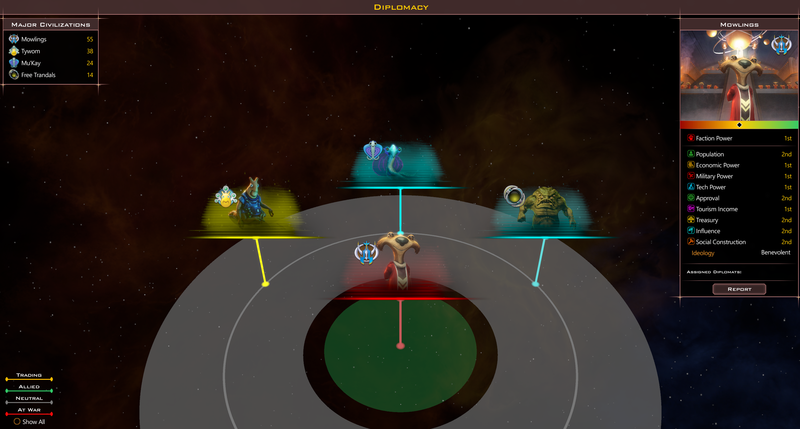 New Alien Civilizations bring their own ship styles, unique race traits, diplomatic quirks, AI personalities, and more! The Star Control Heroes DLC pack introduces four major new civilizations to Galactic Civilizations III. 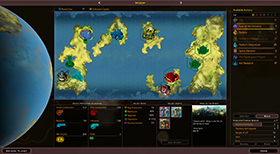 All of the new alien factions come equipped with a unique leader, ship, music, and traits that make each civilization look and play differently from the existing major civilizations. 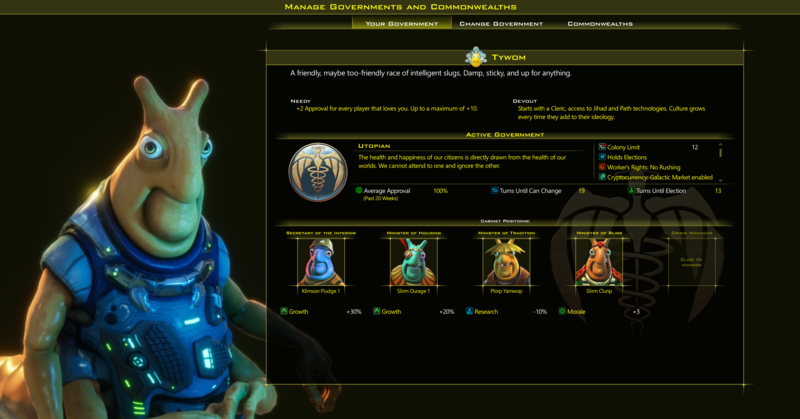 Play as or against the Tywom, the lovable, needy slugs, or as the kind (but surprisingly aggressive!) 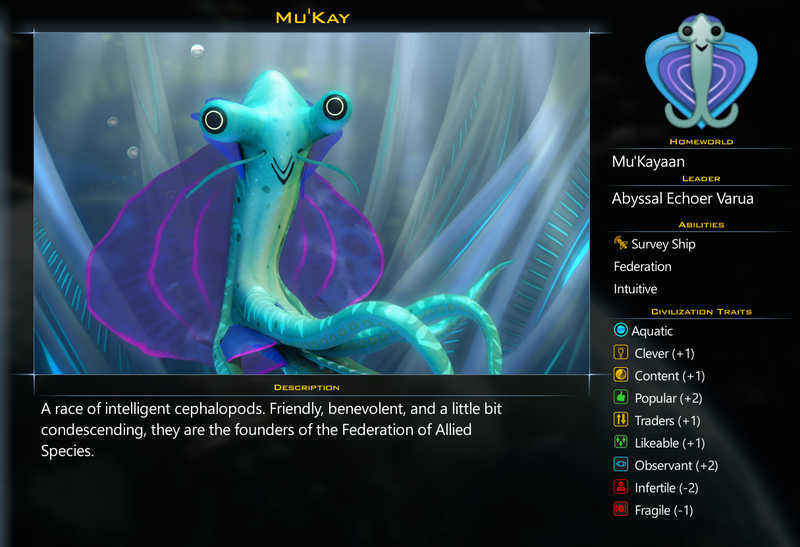 aquatic Mu'Kay. 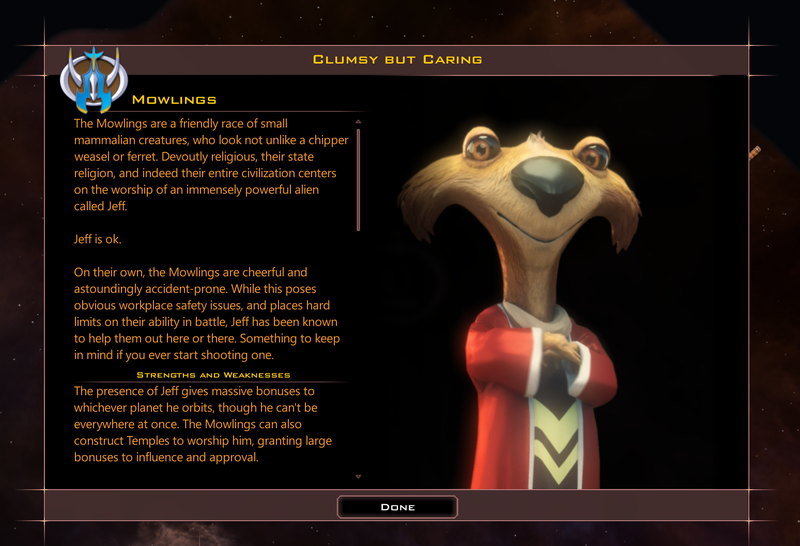 You can also play as the naive-but- deceptively powerful Mowlings with their god-like protector, "Jeff," or the recently liberated and mysterious Trandals. 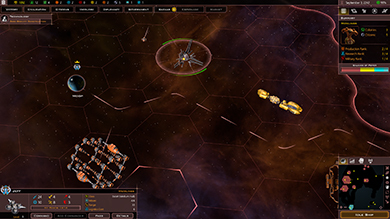 Galactic Civilizations III is the most popular space-based turn based strategy of all time. Your civilization has just achieved faster-than-light travel and the galaxy awaits you. 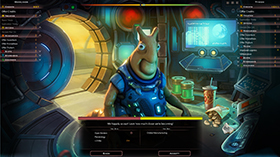 But you are not alone and must deal with alien civilizations through diplomacy, trade, cultural hegemony, or military conquest either against the computer or against friends online. Origins DLC - 10% off today! 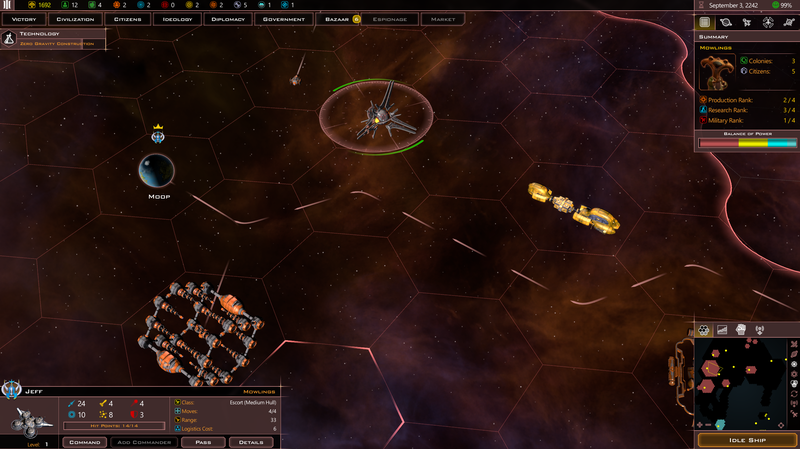 These yellow slug-like aliens would like a hug. They’re slimy, and you don’t want to give them one, but still - it’s all they really want. 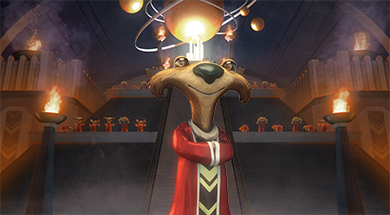 The Tywom want to be friends with everyone, which makes them great diplomats, and their constant desire for approval gives them a bonus for any other factions who happen to love them. 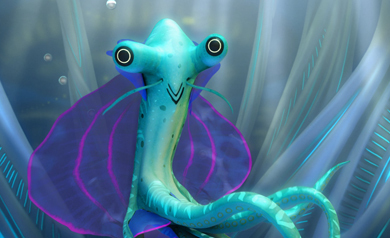 Founders of the Federation for Allied Species, the Mu’Kay are intelligent cephalopods who live entirely in aquatic environments. Their natural intelligence makes them excellent researchers, and their polite (if occasionally condescending) manner lends itself well to diplomacy. Unless you’re a fish. Then prepare to be eaten. All hail the mighty Jeff! 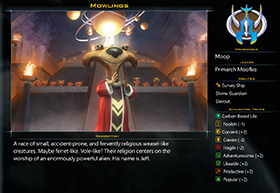 The Mowlings are small, bear-like creatures who worship a mysterious deity they call Jeff. Frankly, they’re a little lost without him, so they spend their time finding new ways to worship him. 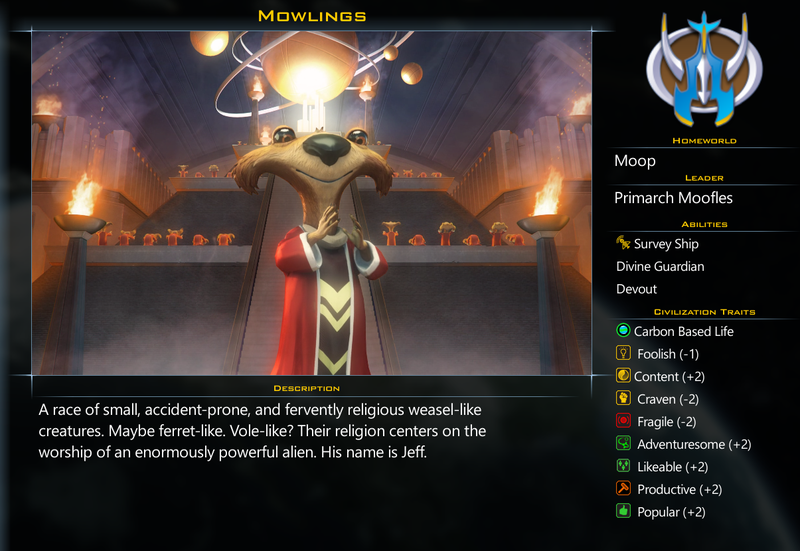 The Mowlings get a special Temple of Jeff improvement (one per planet) that grants bonuses to influence and approval, and in return Jeff orbits their planets protectively. Cast off the shackles of the Overmind! 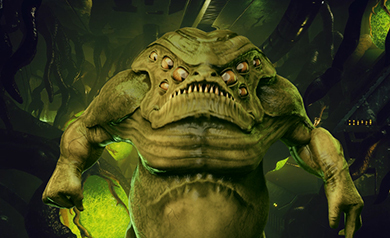 The Free Trandals are the escaped faction of a race that has been enslaved by a malevolent AI known only as Overmind, who uses their bodies to advance its own nefarious purposes. Now, the Free Trandals work to free their brethren and rebuild their lost culture with what little they have left. 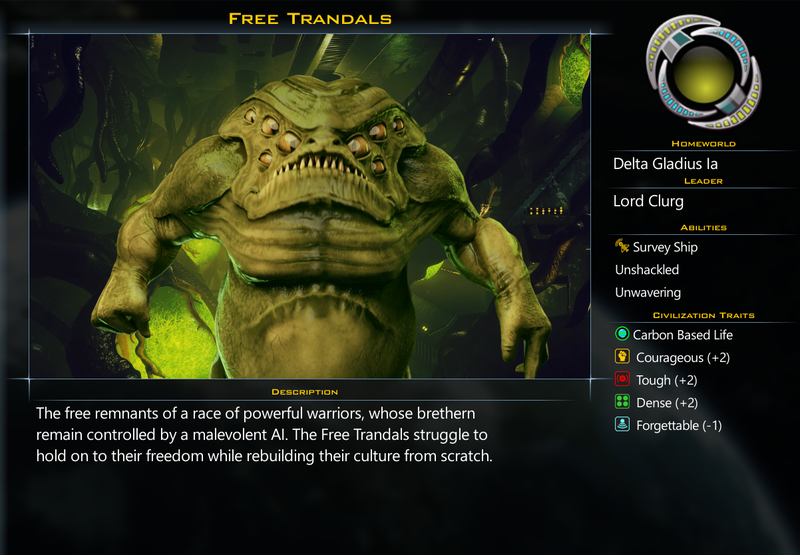 Possessing a surprising capability (and healthy paranoia) for advanced technology, the Free Trandals are far from helpless both on and off the battlefield. 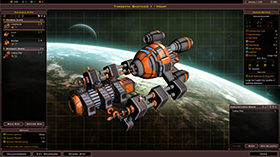 Their warrior instincts may be long buried, but their ships, while few in number, are enormously effective against silicon and synthetic based life forms. 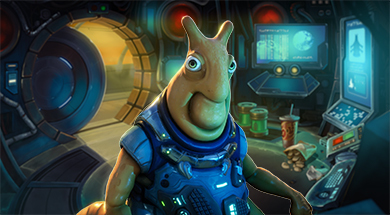 Get Heroes of Star Control: Origins today! In addition to the release of the new DLC, v3.1 is also available today. 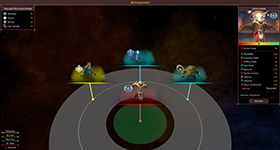 This update adds some important AI and quality of life changes, as well as the ability for players to design their own color palettes for custom factions. With v3.1, players will be able to adjust the color scheme for the UI, maps, and ships as well.